Muwahhideen Publications in conjunction with Islam.tt and Olamayemen.net are extremely pleased and honoured to announce a new Weekly Online Class with the Noble Shaykh Muhammad Ibn ‘Abdullah al-Imaam (May Allah Preserve him). The Shaykh supervises Markaz Dar-ul-Hadeeth in Ma'bar, Yemen and is one of the major scholars of our time, May Allah preserve him. 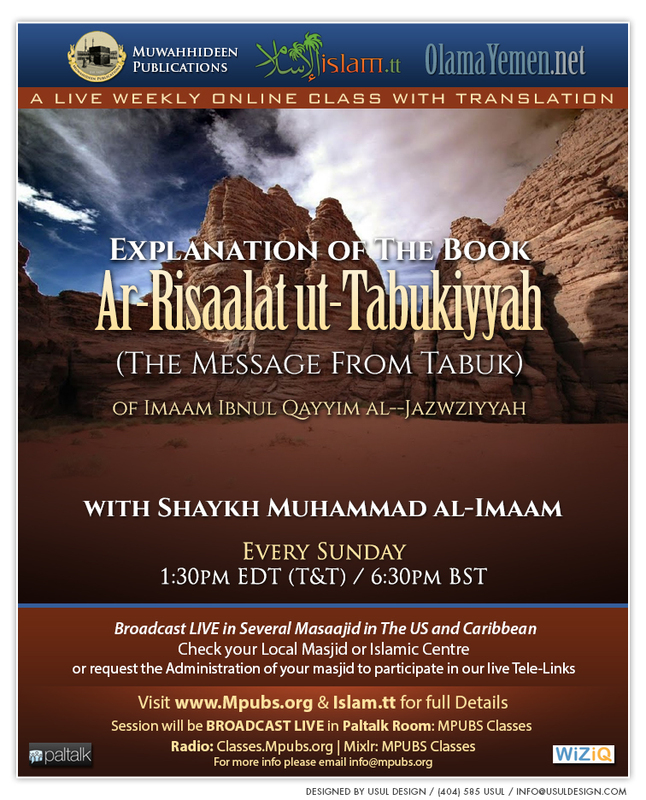 This weekly class will be translated LIVE into English in shaa Allah.